Divorce in America is at an all time high. The rate of divorce for second marriages is even higher than the rate for first marriages. Over the last 3 years, the demographics of clients in our relationship coaching practice represented a divorce rate of over 80%. So what’s going on in our world where relationships have become as disposable as plastic water bottles? One way people can respond to this epidemic is to say that the moral fiber of our society is crumbling and crashing. Or that commitment to long-term relationships and the stability they are intended to provide for each of us is rapidly becoming an out-dated institution? Perhaps you personally may believe this explanation is valid. Or perhaps it isn’t. Is the alarming divorce rate is a symptom of a society that has a deficiency? A deficiency of unworthiness that causes us to fear intimacy, openness, giving and receiving, sharing and love. As relationship coaches, we have found this to be the case with many of our clients who are facing rocky marriages and divorce. From our vantage point we see the high rate of divorce as a symptom of a society that has become increasingly fragmented, isolated, fearful and expendable and sees relationships only as a means to a personal end. However, we also see divorce as an opportunity to specifically heal the emotional wounds that marital relationships represent to both parties. To heal an emotional wound is spiritual. Any lasting workable solution to any relationship problem is spiritual in nature. There is no alternative. If you believe that a big, fat alimony check is going to make everything all better, think again! The problem was never about the divorce or how your spouse never lived up to his or her side of the bargain to honor and obey, in sickness and in health, for richer or poorer. The real problem, which is always an opportunity for spiritual growth and healing, is that you bring to your relationships (marital and otherwise), your wounds from your past. Until you heal those wounds, you will repeat them. The spiritual side of divorce, is like any life challenge, a potential blessing in disguise. It is an opportunity to look at yourself head-on in the mirror and say to yourself, ‘What is this situation showing me about myself and what is it attempting to teach me?’ Ask for an answer. Ask for guidance. You will hear it! The spiritual side of divorce can open the door for you to finally grow-up and truly become the mature adult who can readily participate in healthy mature relationships. When we say ‘mature’ we are not referring to the day-to-day activities and responsibilities of the average adult like having a job, paying the bills, putting a roof over your family’s head and food on the table. We are referring to a maturity that goes much deeper than that. A maturity that has less to do with who you are and what you do and more about your willingness to heal where you are emotionally wounded. This is what it means to be spiritually mature. Spiritual maturity is about learning how to take responsibility for your life. Responsibility for your life situations, experiences and relationships as well as the state of your emotions. The spiritual side of divorce represents an opening. An opening where perhaps just a sliver of light is shining on a situation that looks very dark. It is only through your willingness that more light can shine on you and your life. It is only when we begin to heal from within that the physical reality of our life and relationships permanently improve and change. 1. Stop playing the victim! Playing the victim role always attracts a cast of characters who are more than willing to perpetrate emotional pain on to a willing victim. 2. Cease blaming others for your situation. Until you take full and complete responsibility for your life and the role you play in it, you will suffer at the emotional mercy of other people. 3. Be open to looking within and discover why your life is not the romance novel you hoped it could have been. 4. Become more open to changing by developing a more positive, optimistic attitude and notice how you are attracting more positive, optimistic people in to your life. 5. Begin the process of loving and respecting yourself more. If you don’t love and respect yourself, how can you expect anyone else to love and respect you? Whether you are going through a divorce now, contemplating one, have experienced one, and are attempting to get your life back on track, know that now is the time to heal your wounded relationship. First by beginning to heal the relationship with your spouse or your ex. Second, and more significant, is healing the relationship with yourself. The spiritual side of divorce is a divine invitation from your soul to heal your emotional wounds from all of your current and past relationships. 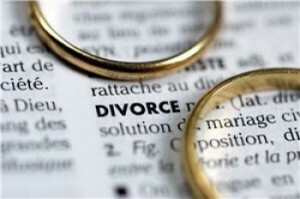 If you are contemplating divorce, going through divorce or rebuilding your life after divorce, we can assist you! Learn more. Previous Post3 Keys to Healthy RelationshipsNext PostIs Technology Replacing Love? the relationship I have with myself, and its true, once I started liking myself again, I started to see things in a different way. The things that I thought I needed to do in order to be in a relationship have drastically changed. I will set boundaries in the future and not feel as if I need to accept someone else’s issues as my own and wont allow someone to play upon my emotions because I so desperately want to win their love and affection. I know now that two people entering into a relationship have to be complete within themselves, in order to face things that come up without blame or victimizing. If you are not secure in who you are, then you will lash out or withdraw from any issue that arises, instead of being strong enough to examine it, knowing and trusting that your partner loves and supports you, as you do yourself. Liz, thanks for your feedback. Yes! You make a great point in that the relationship you have with yourself is the most important. That’s because you take yourself with you where ever you go. Also, building your main relationship(the one with yourself)will allow you to fill yourself up and then overflow to others. Rather than coming from a place of being needy and expecting the other person to fill your empty void. Which of course, most expect another to fill, but it’s impossible. Only YOU can do that. I was divorced that I learned what true love was all about. Thank God for my divorce! Ah Doreen L, we would be curious to find out what YOU found out about true love after your divorce. You point out something very important here and that’s to find the silver lining in your divorce. While you are going through a divorce and even afterwards, it can difficult to find any silver lining in anything, especially your divorce. It appears that you have blessed your divorce and have even learned from it. When we coach woman who are recently divorced, we focus on rebuilding their self-esteem and self-confidence again. After that step, many realize that their greatest lesson is to learn how to be independent and self reliant. After that occurs, that is usually when they find Mr. Right and find a healthy relationship! They realize that they no longer NEED a man. And that’s exactly when he shows up! Thanks for sharing. God. My divorce taught me to seek God and trust him. By trusting God I.am learning to trust myself. Good point. Because God and you are one. So when you trust God, you Trust yourself. And when you trust yourself, you trust God.